Has there ever been a president who chose not to live in the White House? If not, Donald Trump wants to be the first. Advisers that spoke with the New York Times says that Trump “would like to do what he is used to,” which is wake up in his own bed in New York. Trump has been speaking with advisers to determine how many nights a week he’d like to spend in the White House. 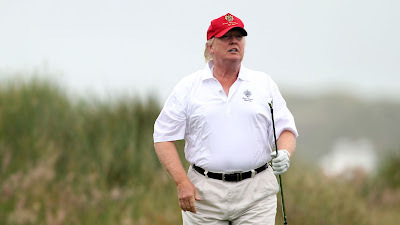 Trump’s advisers say that he may spend most of the week in Washington D.C., like members of Congress, before returning to Trump Tower in New York, his golf course in Jersey, or his Mar-a-Lago estate in Palm Beach on the weekends. His wife Melania is all set and ready to move to the White House, however their 10-year-old son, Barron, is midway through a school year in New York so it’s unclear when that move will happen for him. During his campaign, Donald Trump would often fly several hours late at night so he could wake up in his own bed in Trump Tower. Trump really loves his three-story penthouse apartment at Trump Tower. He’s not ready to give that up for the White House just yet.